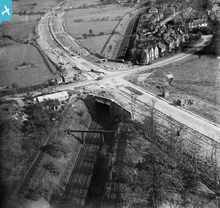 It is interesting to note the bridge seen here is big enough to carry a much larger more modern road junction than the original being built here. 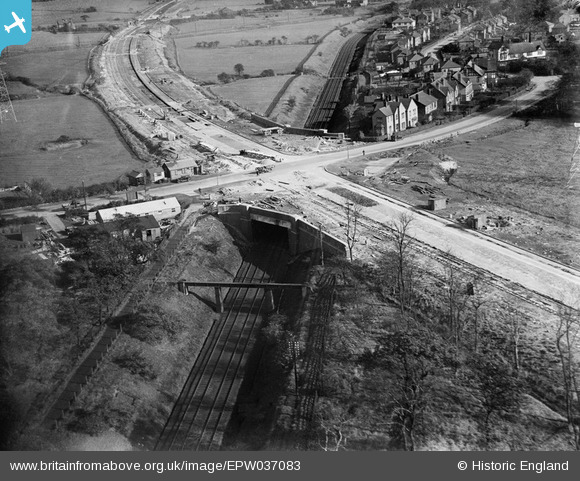 The parapets are still to be seen even though the railway has gone! Is this an early concrete paving machine? Narrow gauge track and tipper wagons for moving materials along the route of the road. Such a modern road for this traditional traffic.